Modern Flames NOVA Recessed Indoor/Outdoor Electric Fireplace follow the long lineage of industry changing electric fireplace. 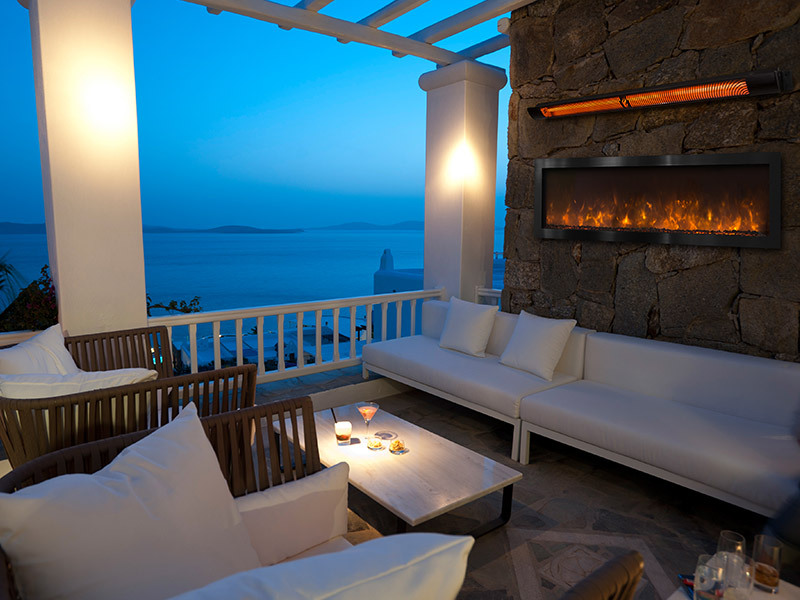 This is the first outdoor rated electric fireplace available in the market. This fully enclosed electric fireplace is built and designed to accommodate any environmental occurrence such as heat, rain, and other costal factors. The NOVA is a 120 Volt direct wire which operates with a wall switch. This non-heat model offers an optional external upgraded 240 Volt, 3000 Watts direct wire infrared heater. The Nova creates a perfect ambiance for any moon light setting.